This smiling face is responsible for an as-yet unrecorded spike in player-induced injuries during the 1990s. 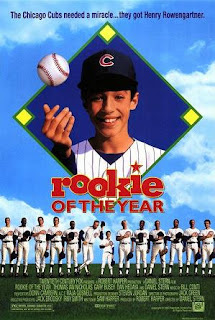 Today's generation of NHL stars grew up watching Rookie of the Year, and many enjoyed the film's fanciful depiction of adversity translating into unmerited opportunity: Henry Rowengartner suffers a broken arm in an accident and subsequently develops the ability to pitch like a major leaguer at age 12. For players frequently told that no one gets easy breaks on their journey to the big leagues, the fictional Rowengartner offered a resounding (albeit squeaky-voiced) exception. Until now, Rowengartner's success has not posed a serious threat to the safety and integrity of major-league sports: self-inflicted injury has not yet eclipsed doping as an athlete's top choice for fabricating a competitive edge. With Lupul's recent success, however, trainers will likely begin helping players break limbs rather than giving them "B-12" shots. It may seem far-fetched that a little-known baseball movie will turn Lupul into an insidious example for his hockey colleagues, but 21st century coverage of pro sports and reality TV offer support for this claim. With the popularity of NHL 24/7 and other shows offering unprecedented access to athletic clubs, it's possible that kids who grew up with Rookie of the Year will misremember it as an early installment of HBO's The Franchise. Aiding this false memory is the anomaly of Gary Busey, whom players probably know to be famous for unknown reasons. It's perhaps more likely that players today will remember Busey as a former pitcher for the Cubs than a one-time Academy Award nominee (for The Buddy Holly Story in 1979). 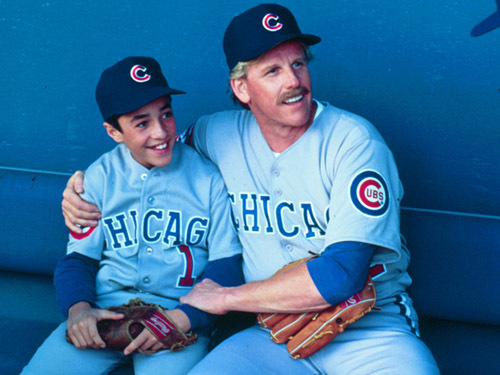 With that in mind, don't be surprised if the NHL team suffering the most injuries this season makes the most unexpected transaction on deadline day by hiring of Gary Busey (Rowengartner's pitching mentor) as a player development specialist. Had his mentorship with a madman continued, Rowengartner would have become a more deranged disciple than Dennis Hopper's character in Apocalypse Now.